Register Now for the Arkansas Math Kangaroo competition! 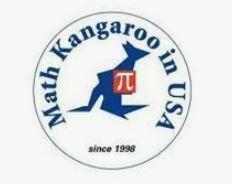 Do you want your child to be among nearly 30,000 Math Kangaroo 2019 participants in the USA and several million participants worldwide? Limited spots are available, the deadline is December 15. Click https://mathkangaroo.oasis-lms.com/Public/Catalog/Home.aspx to access the available resources. Click http://www.mathkangaroo.us/mk/calendar.html to see this years full calendar. Click http://www.mathkangaroo.us/mk/practice.html for free sample questions. v Address: 23 Corporate Hill Dr. The test has a multiple choice format with 24 questions for students in grades 1-4, and 30 questions for higher grades. For wrong answer or no answer there are 0 points. December 16 – December 31:Late registration with greater registration fee: $35 - subject to place availability. The correct answers will be posted on our webpage: http://www.mathkangaroo.org by April 20th. Information on the winners and the results will be announced in May.